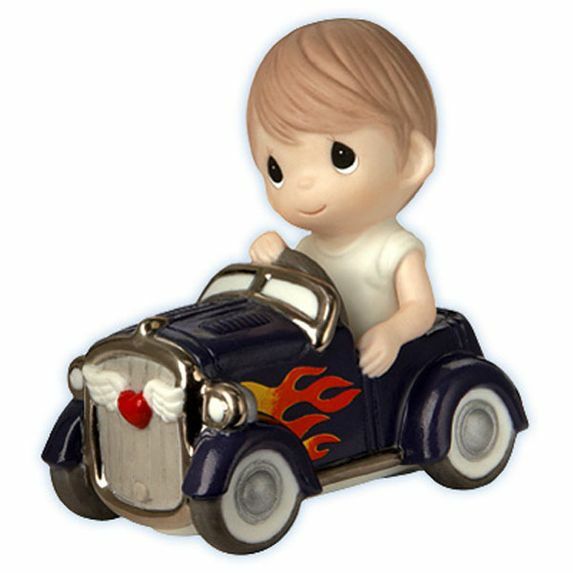 Cruisin' toward the one who makes his heart race, this hotrod lovin' lad is one happy peddler. His flame-licked roadster is near to his heart, but nothing could compare to the one he loves. Porcelain bisque ornament. Item#: 102004 - Height: 5"